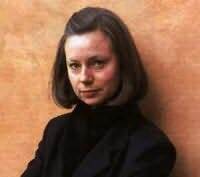 Fleur Jaeggy completed her studies in Switzerland and Jaeggy went to live in Rome, where she met Ingeborg Bachmann and Thomas Bernhard. In 1968 she went to Milan to work for the publisher Adelphi Edizioni. Her first masterpiece was the novel I beati anni del castigo (1989). The Times Literary Supplement accounted her novel Proleterka as the best book of 2003. She is also a translator into Italian of Marcel Schwob and Thomas de Quincey.